This sounded right up my street, so shortly after midnight I headed straight to bed—which is no small accomplishment for me! 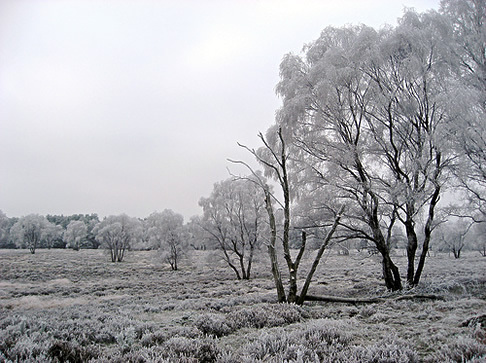 The next morning I was up and about by 8am, and after a spot of breakfast, headed over to Cannock Chase. 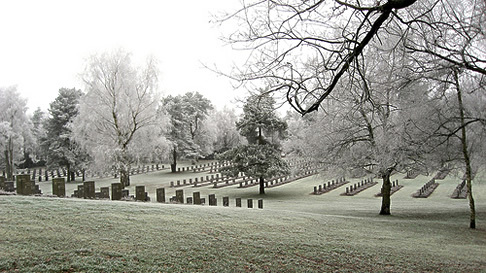 Cannock Chase German Military Cemetery. I haven’t spent nearly enough time in this ‘Area of Outstanding Natural Beauty’, especially when you consider it’s close proximity to my parents home in Walsall. 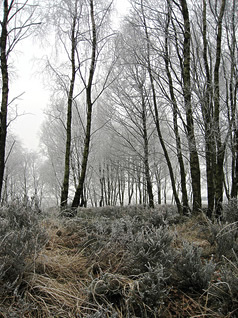 Of course in the early January frost, the landscape was just incredible. With the crisp ground crunching beneath my feet, and clean fresh air filling my lungs, I couldn’t have asked for a better start to 2009. 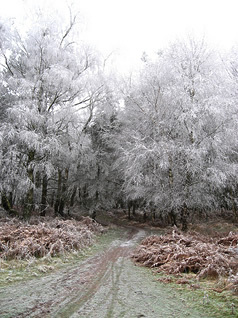 More Scenes from Cannock Chase. This way of celebrating the arrival of a new year actually seems far more appropriate than getting drunk and starting it with a hang over. To spend the first few hours exploring a little piece of the English countryside felt like a real treat, and for that reason, I think a new yearly tradition has been born.